According to Brandwatch, there are 2.3 billion social media users worldwide. Social media is a valuable opportunity to reach a large untapped audience. If people like what they see on your social media profiles, they’ll likely check out your website too. If you’re overwhelmed with all the work that you have to do, here’s some good news that you’ll appreciate. You don’t have to pay attention to social media all the time to build a loyal following. You always have the option of using a social media management tool. 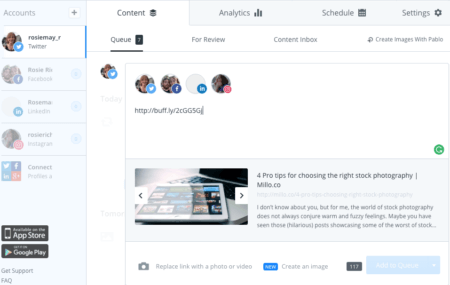 What are social media management tools? 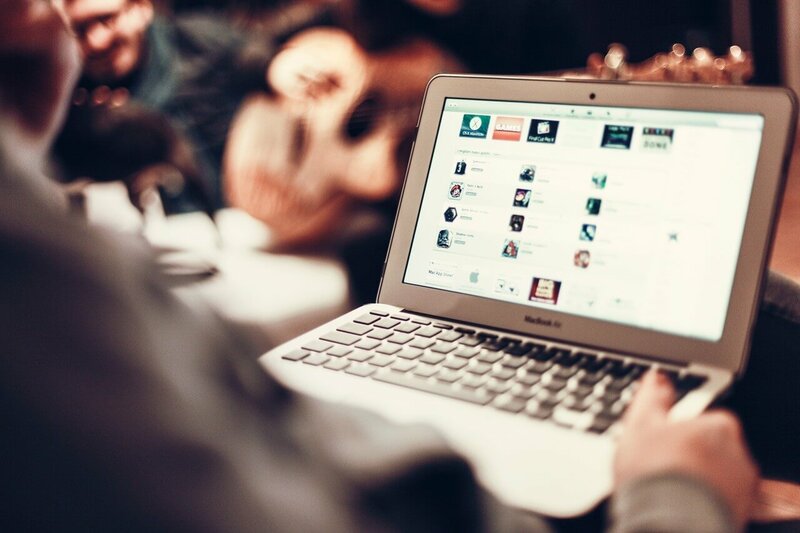 Popular social media tools include Buffer, Hootsuite, and SproutSocial. Why should you use a social media tool? What links are people clicking on? What are the most popular times for users to log in to their accounts? 75% of social media users buy stuff because they saw it on social media. Social media management tools help you post content on your customer’s schedule. What’s the best possible social media management tool for you? The truth is, there’s no such thing as a social media management tool that’s best for everyone. The good news is that narrowing down your choices is a lot less challenging than it seems. Making a selection based on the social media accounts that you use on a daily basis. All social media management tools are available for free. It’s important to keep in mind that free accounts only allow you to pre-schedule a limited amount of posts. Not to mention, users have access to a limited amount of special features. But what are these special features? A lot depends on your tool of choice. 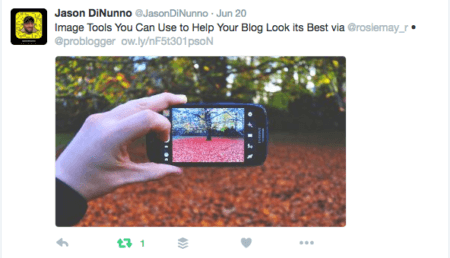 Buffer offers an automated, instant link-shortening interface. It’s also 100% free. Did a social media tool ask you to pay for a special feature? You should always check if it’s available for free elsewhere before you whip out your credit card. Social media management tools don’t replace the benefits of logging into your account. Do you want all the following to be in the exact same place? You might like both Hootsuite and TweetDeck. Both tools are great for hyper-organized, visual people. You can keep things organized in a visual interface, and label everything. Direct engagement is an aspect of social media that tools can’t duplicate. This is exactly why you need to login to your social media accounts ever so often. Direct engagement will save you from the embarrassment of content that’s posted at inappropriate times. With #socialmedia tools, you have time to think about people’s reaction before a post goes live. Social media management tools know when users are logging into their accounts. Yet, it’s still an application so it’s not perfect. You don’t want to look like you’re trying to profit off tragedy and other sensitive topics. Content with relevant images gets 94% more views than content without relevant images. If you’re not already doing so, always attach images to all your social media posts. Adding images to your #socialmedia posts will get increased attention of your followers. Free, public domain, stock images from sites such as Pexels, Pixabay, and Unsplash. No matter what pictures you choose, don’t forget to edit your images. Are you a creative entrepreneur on a shoestring budget? All these sites have a wide variety of free, social media, image editing and graphic design tools. Don’t be afraid to recycle content. You don’t always have to post something new. If you manage to find a new spin on old content, then you’ll increase the shelf life of your content. You’ll also attract further attention to your work. Experiment with new wording in your posts. This is a great way to appeal to people’s needs in the here and now! Readers will likely share your content with their social media networks. Start off by paying attention to social media users that tweeted about your content. Tweets can be a valuable form of social proof. He fit the bill of my ideal client. That’s exactly why it was a perfect social proof opportunity. When I saw his tweet for the first time, I added it to my Buffer queue. Ever since my web traffic and social media followers have gone up at a steady rate. All it took was one tweet, from someone in my field. Another creative way to recycle content is to change up the wording of your social media content. This is a great way to keep people interested. So what’s the difference between the two tweets? Version two went live after the blog post had been online for a while. The second tweet also got more attention than the first. But why is the case? Well…it focuses on a major benefit of clicking on the link, and actually reading ProBlogger’s latest blog post. No matter what, don’t duplicate your social media posts while sounding aggressive and pushy. All that will do is scare away your followers, and also your potential leads. You, of course, don’t want that to happen! What about you? Do you use social media management tools? What has your experience been like with these tools? Feel free to share your perspective in the comment section below. Great post Rosemary. I have been using Hootsuite pro, but not as effectively as I’m sure I could be. My issue is creating and sticking to a regular social media routine. It always seems very daunting. I totally get it. It can be. Pick times a few times per week that work for you, and just add things to your Hootsuite queue. For instance, my social media times are often either early in the morning or at the end of the day, when things tend to be quieter. I’ve been a Hootsuite user for a few years now, and I love it. I also really enjoy Tweetbot on my iPhone. The app makes it very easy to switch between accounts, or even like, reply, and retweet from any account without actually switching over. Super helpful when you manage multiple accounts on the go!